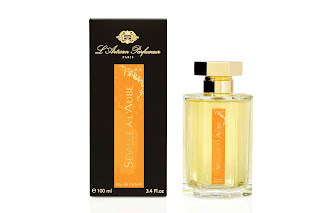 At Esxence in Milan, my fellow guest at the panel chaired by Michael Edwards, The Perfume Magazine’s managing editor Mark David Broberick, sat down with me to discuss The Perfume Lover and the development of Séville à l’aube. To read the interview, featured in the brand-new issue of The Perfume Magazine dedicated to Esxence, click here. And if you scroll halfway down the issue’s main page, you can participate in a draw to win a copy of The Perfume Lover. À Esxence, après la table ronde animée par Michael Edwards à laquelle nous avions tous deux participé, Mark David Broberick de The Perfume Magazine m’a posé quelques questions sur le développement de Séville à l’aube. Pour lire cette interview (en anglais), qui figure dans le dernier numéro de The Perfume Magazine consacré à Esxence, cliquez ici. Si vous scrollez jusqu’à la moitié de la page principale du magazine, vous pouvez participer à un tirage au sort d’un exemplaire de The Perfume Lover. I feel like celebrating in your honor, Denyse! Such a magical achievement for a perfume lover, and I should think for Mr. Duchaufour also to have the creation captured so beautifully. Congratulations on your book. Very good read. It must have been a dream to collaborate with Duchaufour and release a perfume with L'Artisan. When is this perfume coming to the uk ?. It says in the blurb that you have a ph.D in The Marquis de Sade, AWESOME!. PS: You look a bit like Mireille Darc in the photo. Chris, thank you! It was indeed wonderful to work with Bertrand, and we'll be doing it again, though not for L'Artisan. The perfume is slated for a launch at the end of July, with an event at the Covent Garden shop, though I haven't got the exact date yet (one I think will be for customers, the other for the press). As for the photo, I was kind of aiming for Anna Karina, at least for the haircut, but Mireille Darc is kind of in that general early-to-mid 60s ballpark! Bravo! How exciting to see the book and the perfume in real life, a dream come true! I am so thrilled for you and can't wait to smelle Séville à l'Aube! Tara, hey, I'm looking forward to seeing the bottle too. The courrier must have taken the week off.